Freelee and Harley "Durianrider" Johnstone are lead promoters of Raw Till 4. Of all the female fruitarians in the world, Freelee might just enjoy the greatest exposure. She beams her dozens of videos to her main YouTube channel‘s 44,000-plus subscribers. 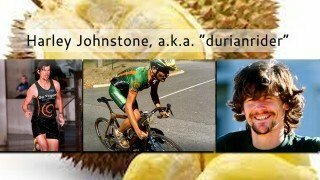 More than 17,000 have joined 30BananasADay.com, the world’s leading high-carb raw vegan forum, which she runs with her partner, Harley “Durianrider” Johnstone. Come 2006, Freelee, working as a personal trainer at a gym in Sydney, was overweight, depressed, binging frequently and suffering from poor overall health. She discovered a few raw food books, including Leslie Kenton’s Raw Energy, and explored all she could find online. 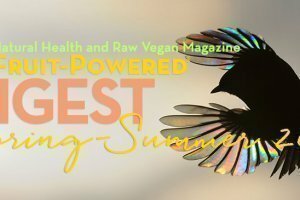 She sampled the gourmet raw diet, steeped in high-fat nuts, seeds and oils, and felt better than she had eating animal products but instinctively knew she could feel even better. 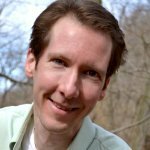 On a forum, Freelee read about a person’s negative experience following Dr. Doug Graham’s 80/10/10 program. A light switched on in her head. “All I could think was, ‘I can eat all the fruit I want?’ “ she recalled thinking. 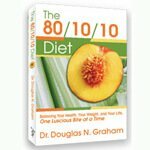 “I always loved fruit!” She began researching Graham’s program, which calls for a low-fat raw food diet. Transitioning to the 811 lifestyle was mostly a breeze for Freelee. The key, she said, is ensuring one eats enough fruit and has enough ripe produce available. Freelee is photographed before going raw vegan, weighing 70 kilograms. The diet, Freelee will tell you, is only one aspect of the 811 lifestyle. Her vibrant state is bolstered by an intense fitness program, which has evolved as her body grows stronger and faster. Freelee after going raw vegan, enjoying all the watermelon she wants! Freelee’s favorite fruit is Malaysian durian and favorite greens are sweetleaf, iceberg lettuce and mizuna. Freelee supplements with Vitamin B12 every other month. She considers B12 the only supplement one should take, regardless of diet, because modern farming practices have left soil deficient in cobalt, vital in the creation of Vitamin B12. 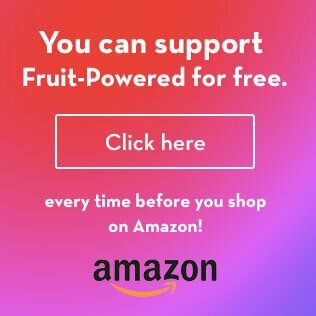 On her website TheBananaGirl.com, she features an article on B12. She doesn’t get regular blood tests because she considers herself to be well enough that they’re not warranted. Freelee recommends those transitioning to a low-fat, fruit-based diet to count their calories using Cronometer.com. She suggests a minimum of 2,500 calories a day for women and 3,000 calories for men based on her experience coaching people to thrive on a high-carbohydrate raw food diet. For those who want to eat healthfully but still sit down to cooked dinners, Freelee and her mother created the Raw Till 4 Facebook page. 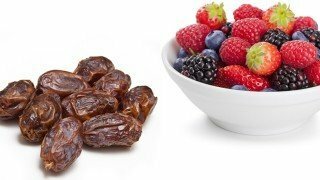 This program appeals to those who’d like to consume fruits for breakfast and lunch plus a cooked high-carb, plant-based dinner. 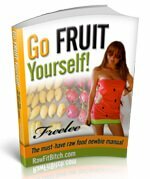 Freelee published Go Fruit Yourself in fall 2011 and is halfway through writing The Banana Girl Diet, inspired by 80/10/10 and her desire to transform the lives of women around the world. She’s also writing a comic book while continuing to produce videos on topics such as raw recipes, exercise, losing weight and bathing minimally. Discover Freelee’s Top 10 Tips for health! Hungry for more? Check out Freelee’s Creaming Soda recipe! Check out Harley “Durianrider” Johnstone’s transformation profile! 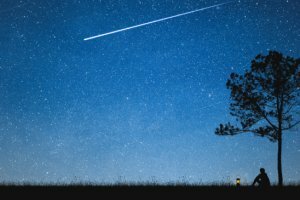 Very informative and inspiring article. Thank you!